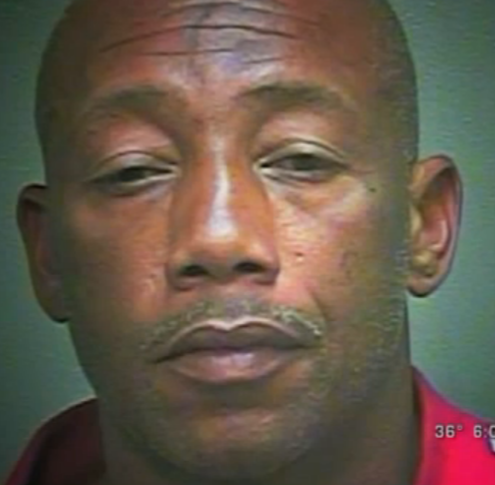 Darrell Gatewood was Tasered to death by Oklahoma City police officers on March 1, 2015, the same day that Los Angeles police officers shot Africa to death, an unarmed homeless man. Gatewood was handcuffed by police officers inside the residence, then dragged outside and deposited in a puddle of water where he was electrocuted by Taser. His death was apparently an execution without the benefit of judge or jury. Gatewood self-medicated with drugs. Gatewood's family reports that he had bought and used synthetic marijuana shortly prior to his girlfriend called 911 last Sunday, without any expectation that the responders were significantly more stressed and unpredictable than Gatewood was. The unarmed man was killed, although he presented no immediate danger to police or anyone else. In fact, Gatewood had passed out on the floor before officers arrived according to eyewitnesses to his execution. Assistance to the Incarcerated Mentally Ill (AIMI) advocates against the homelessness, incarceration, prisoner torture, and wrongful deaths of people with drugs and alcohol dependencies just as we do regarding the neglect and abuse of persons with serious mental illnesses. We advocate for their civil and human rights and try to console families of such persons when deaths occur under the color of law. Some news reports said that Gatewood had mental health problems, but his family denies this. His family members who spoke with this writer said that Gatewood had no mental illness but did have a drug addiction. An online wake for Gatewood was sponsored by National Network in Action (NNIA) channel on Blogtalkradio on Saturday, March 7, 2015. Members of Gatewood's family expressed the negative impact his death has on his family, especially Gatewood's children, grandchildren, nieces and nephews. Gatewood was the family babysitter and the primary organizer of family dinners and get-togethers. He was an excellent cook and a man who stepped in as a mentor to the children, some of whom no longer have immediate access to their own father. Please notify Mary Neal immediately if your use of this link is redirected to another website other than to the Gatewood wake at Blogtalkradio. There is presently a cover-up attempt underway about this police killing. Oklahoma City is the Taser capital of America, with more Taser deaths than anywhere else in the nation, according to reports. Gatewood was the third member of his family to experience police brutality within the last few years. His cousin, Christopher Tucker, was stopped while driving and nearly Tasered to death a few years ago, and Tucker's son was also assaulted by police and arrested. Read about Tucker's case at the "Legal Victories" blog that carries the story: "U.S. Codes are Legal Victories"
These damn agents keep opening themselves a field before and after this paragraph so they can steal it. I will be so glad when these people give up trying to contain information about police violence rather than applying their authority to punish abusive police officers.